Actulowcost.com collects all information about airlines, airports, routes, news and offers from these airlines. Actulowcost.com gives you the opportunity to fly at low costs to make all Europe available to anyone. 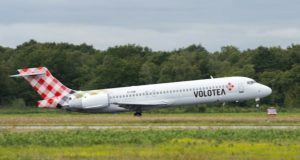 Volotea : 2 new flights from Bordeaux for Summer 2018 ! Air France launches her Low Cost company : 'JOON'. It will offer medium-haul flights from December 1st via Airbus 320 from Paris CDG to Berlin, Barcelona, ? ?Porto and Lisbon (between 5 and 7 flights per day). Long-haul flights will be offered for Spring 2018.